What do Lost fans love more than watching their show? Watching it again, and again, and again. Maybe no series was better made for DVD viewing, re-viewing and pausing than this detail-rich mythological mystery that finally came to an end in May. 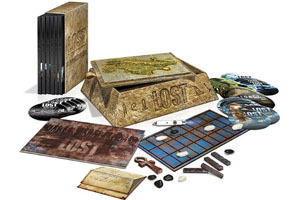 Now the Lost completist in your life can own the series' entire run, from the dramatic plane-crash beginning to the controversial ending, with every clue, flash-forward and Dharma Initiative video in between. The complete set also includes some 30 hours of bonus material, including a featurette that puts one last period on the afterlife of The Island that drove us wonderfully crazy for six years.